N-VA leader and Mayor of Antwerp, Bart De Wever. Wikimedia commons. Some rights reserved. A markedly conciliatory note was struck by New Flemish Alliance leader Bart De Wever on the day his N-VA party won a shock 30% of votes in the Belgian elections of 13 June 2010. After the result came in that night, the iconic leader cautioned an indomitable crowd of victorious N-VA militants that the monster score meant that “70% of Flemish people didn’t vote for us today,” prompting brief, ironic jeers from gathered activists. In a measured victory address, De Wever spoke of the need to build bridges with rival parties in an implicit admission that N-VA’s historic mission – Flemish independence – was still some way off. Little did the crowd know that fate had in store 541 days of gruelling negotiations to form a federal Belgian government. N-VA would emerge empty-handed in spite of its overwhelming relative majority, condemned to railing against current Prime Minister Elio Di Rupo’s socialist-led government from the side-lines of national opposition. After stewing for several years, N-VA has emerged with a more radical platform and a clear electoral strategy to polarise the electoral landscape. This time the strategy is not necessarily about winning as many votes as it can. It’s about winning power. The N-VA leadership has over the past weeks nailed its radical colours to the mast. The rightward shift was long in the making and is now fully set in stone as campaigns get underway for the “Super Sunday” regional, federal and European elections that all take place 25 May next year. New electoral texts and a media blitz have committed N-VA to a policy cocktail with two ingredients: first, a far-reaching and detailed plan for confederalism – a one-time hit to rapidly dismantle the Belgian state – and second, the subjection of the economy to neoliberal shock therapy. The final push by party leaders to impose the rightward shift was executed in the face of some limited confusion, a high-profile defection and a partly bungled communications strategy. But by getting the process over with now, N-VA will emerge as one of the most clearly profiled parties in what is hyped as Belgium’s “mother of all elections” next year. The N-VA leadership has imposed its will. The party is campaigning for a national government of economic repair with leaders - if not all followers – fully signed up to neoliberal economic policies. Neoliberalism shares top billing with a platform for confederalism – radical pro-Flemish constitutional reform – which appeals to core supporters. N-VA bigwig Siegfried Bracke let the cat out of the bag this summer. In a widely reported U-turn, he confidently claimed the party now believed repairing the country’s economy with tax cuts was more important than confederalism. Bracke was immediately forced into an apology for infuriating the party’s pro-Flemish wing and for revealing high-level leadership strategy to the first journalist who would listen. He was back on television the next day with a different, party-approved message - subsequently set in stone – this time saying confederalism and economic recovery were two sides of the same coin. The course was thus set and N-VA is steering this dual message all the way to next year’s elections. Bart De Wever has long sung the praises of Germany’s low-wage economy – “Europe’s locomotive” – and has painted doomsday scenarios if Belgium fails to implement EU-endorsed austerity reforms. By that point, De Wever and other leaders had already shaken off overtly collectivist impulses based on a shared Flemish identity and language. N-VA rhetoric now focuses on Flemish people who “work, save and run businesses,” a mantra repeated over and over to justify tax-breaks for big business and high-income earners while pressing wages and benefits for the rest. N-VA’s biggest electoral trump card is pitting De Wever against Di Rupo in what will be the clearest head-to-head showdown in recent Belgian history. Di Rupo, a francophone socialist committed to defending Belgium’s welfare state, is an ideal counter-pole for a radicalising N-VA. The two main Flemish centre-right parties – the Christian Democrats of CD&V and the liberal Open VLD – were last week forced to react to N-VA’s far-reaching plans for confederalism and neoliberalism. In order to protect their identities, Open VLD and CD&V ruled out co-operation with N-VA on constitutional reform after the election. They warned that attempts to impose confederalism were bound to plunge the country into chaos and blockage. Instead, the parties argued, the next federal government should focus on fixing the economy. This plays directly into the hands of the polarising strategists at N-VA. There is no real threat on economic policy as Open VLD and CD&V are broadly singing from the same neoliberal hymn sheet. At the same time, the rejection of confederalism by liberals and Christian Democrats is a major blow to those parties’ pro-Flemish credentials, boosting N-VA’s profile as the sole democratic force advocating radical constitutional reform in the name of Flanders. The N-VA machine has in previous elections emptied the CD&V and Open VLD of Flemish-minded voters and it is now coming back for more. For its part, N-VA has already said that governing with Flemish parties that are not committed to confederalism is unthinkable. So when negotiations start in May, something will have to give. N-VA strategically aims to become incontournable at the federal negotiating table next year. To get there, the party has to force an outcome that makes it impossible for other negotiating parties to get around N-VA as a coalition partner. Inviting Vlaams Belang, a post-fascist party with a core 10% of voters, to govern is unthinkable as it is subject to Europe’s original and longest-running cordon sanitaire. This means establishment parties will choose N-VA rather than quarantined Vlaams Belang if either party is needed for a majority. In a potentially fateful historical irony, N-VA ambitions may get inadvertent help from the extreme left. Workers party PVDA is gaining in the polls on an all-out socialist programme that advocates nationalisation of banks and heavy industry. If PVDA comes in from the left-wing fringes and gains federal seats, it will almost certainly be subjected to a second cordon sanitaire. This would reduce the number of seats required for a Flemish-minded blocking majority. De Wever became mayor of Antwerp in 2012 thanks to exactly that type of double cordon. PVDA’s four seats and five for Vlaams Belang tipped the balance and made N-VA incontournable in the governing council of Belgium’s second city. Opinion poll support for N-VA surged as high as 40% after the current government was sworn in. This was a clear sign of Flemish frustration at the way their votes were ignored by the formation of Di Rupo’s coalition. N-VA ratings subsequently stayed between 35% and 40% for nearly two years but recently dipped to just below 28%. The dip reflects the ebbing away of the anger felt at Di Rupo’s formation. But there is no inherent reason that those voters cannot be angered once more into joining the De Wever camp. This means N-VA’s prospects for getting its coveted incontournable status may well come down to a few electoral percentage points on Super Sunday. N-VA launched their detailed policy paper on confederalism just before Halloween. The radical plan involves splitting Belgium into two autonomous member states that only co-operate in policy areas where they have both agreed to do so. Under the plans, residents of Brussels will see their region demoted into a no-man’s enclave where each individual chooses whether, administratively speaking, they are Flemish or Walloon. Predictably, the party’s confederal creature has drawn a storm of criticism, especially in Brussels, which is noticeably asserting its own cultural identity by distancing itself from the two linguistic communities. But spelling out the painful realities of confederalism at this early stage is a clear-sighted move by N-VA strategists. Laying radical cards on the table at Halloween ensures confederalism will be old news at N-VA’s election congress in January. Flemish-minded voters will undoubtedly remember it. 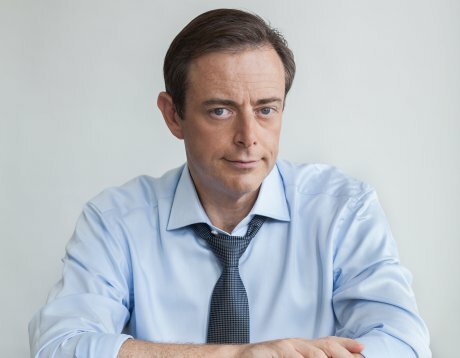 Others will be distracted by the N-VA electoral machine and media hype around the official unveiling of Bart De Wever as prime-ministerial candidate early next year. N-VA’s economic policies would abolish tax brackets for top income earners and further erode taxes on business profits. This is a dangerous platform when Belgium’s main economic problem is that the country has become a fiscal paradise for big business and those wealthy enough not to work. In a fearful symmetry, the top 10% of Belgium’s population owns more than 50% of total national wealth, while the bottom 50% owns only 10%. There are an estimated 220.000 super-rich households in Belgium and the number is growing. It includes high-profile and low-profile tax exiles from France and the Netherlands. More damaging still, running big businesses in Belgium is in some sectors degenerating into a race for who can obtain the biggest fiscal gifts from politicians and who can get away with the most aggressive downsizing. It is becoming business practice to obtain the former by threatening the latter. The top 1.000 companies with the largest profits in Belgium last year paid a pitiful 6.17% in taxes. In that same year, those same thriving companies sacked roughly 20.000 employees. In a stunning display of economic illiteracy, N-VA wants the Belgian state to issue a guarantee to financial markets that national debt will at some pre-defined point be reduced to zero. N-VA has been forced into this position by party dogmatists who realise all too well that national debt at federal level is an obstacle to the ultimate aim of splitting the country in two. The direct reason for Belgium’s current debt problem is the €25bn financial bail-out of which only 1% has been repaid. Nasty surprises still lurk in the battered balance sheets of bailed-out banks. The central bank has warned that rescued financial group Dexia is a ticking time bomb that would add a crippling €125bn to government debt if it explodes. The financial crisis as a whole has already cost Belgium an estimated €100bn. A renewed determination to cut taxes in these circumstances is a radical adventure. N-VA wants to recoup the money lost through tax giveaways by freezing public spending. It is also poised to scrap Belgium’s unique wage-indexation system that is specifically designed to guarantee no worker is left behind in national wage negotiations. The country’s biggest long-term challenge, youth unemployment, is downplayed in N-VA literature as a problem for Brussels and Wallonia. What is being proposed is an accelerated redistribution of wealth and opportunity away from ordinary people to big business and those wealthy enough not to work. It comes at a dangerous time to unleash such an experiment. N-VA neoliberal-confederal concoction isn’t about treating voters. It’s about tricking them.